Sunbridge’s Waldorf Early Childhood Teacher Education Completion Track is an opportunity for early childhood educators with substantial experience in a Waldorf early childhood setting, as well as prior, relevant coursework or training, to apply their background to become fully WECAN-credentialed. 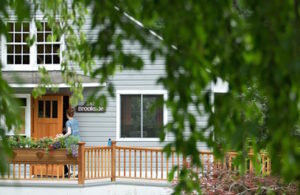 This is an every-other-year offering and will next enroll summer 2019 (intensive dates: June 17- July 5). 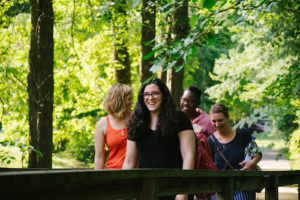 We are now accepting applications for the 2019-20 cohort. Regular application deadline is May 1. See below for details on the application process. The Completion Track involves 8 weeks of on-campus coursework—a three-week intensive in the first summer followed by a one-week November intensive, a one-week March intensive, and a three-week intensive in the second summer—plus mentored teaching practice. It is designed to be completed over the course of 13 months. The Completion Track utilizes our regular Early Childhood core and adjunct faculty. As a Sunbridge student, you’ll benefit from the wide array of resources available to us as part of the Threefold Educational Center community. Handwork: working with wool, plant dyes, etc. Each program student is assigned a faculty mentor—a master early childhood educator who will visit you in your work with young children each fall and spring during the length of the program to offer support and guidance in practical aspects of your work and in your development as an educator. Please visit our Faculty page to read bios of our Early Childhood program directors and faculty. You must be actively working in a Waldorf early childhood setting both at the time of your application and during your enrollment in our program. A high school diploma is required. The Completion Track application process is two-tiered. 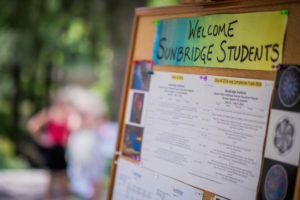 The purpose of the eligibility review is to confirm that your prior experience and coursework is aligned with the content and standards of Early Childhood Teacher Education at Sunbridge Institute. Complete an Eligibility Review form, either online or via a downloadable PDF, and submit it along with the non-refundable $50 pre-application fee. Eligibility Review forms received without this fee will not be processed. A Program Director will review your background and, within two weeks of receipt, will set up a phone consultation to discuss your candidacy. If it is determined that you are an eligible candidate, our Admissions Coordinator will then forward you a link to the Completion Track application form (electronic or paper version). Non-refundable $50 application fee. Applications submitted after May 1 must include a $50 late fee. If applicable, a copy of your program certificate and/or documentation listing prior relevant coursework (as indicated on the application form). Applying for a visa with the support of Sunbridge Institute. 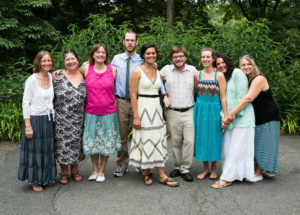 Please Note: Sunbridge Institute Waldorf Teacher Education programs and intensives are recognized by AWSNA, the Association of Waldorf Schools of North America, and are licensed by BPSS, the Bureau of Proprietary School Supervision of the New York State Education Department. These offerings do not lead to New York State teaching certification. Sunbridge Institute reserves the right to cancel or change any offering at any time and to make faculty or course substitutions when necessary.